Quick History: Crystal Beans is the “sequel” to Dungeon Explorer for the Turbografx 16, and a re-make/overhaul of its sequel (for the Turbografx CD), Dungeon Explorer II. 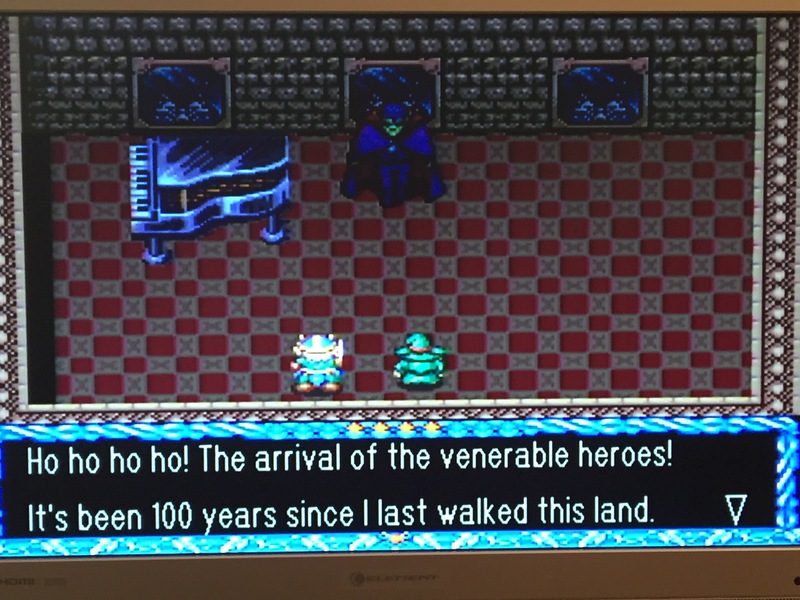 The game was only released in Japan, but today, like many RPGs, it’s been (expertly, grammatically speaking) translated into English and can be played on the Super Nintendo. Story & Characters: Select one of 8 characters – Wizard, Witch, Warrior, Bowman, etc. and traverse the land seeking to kill 15 demons and restore peace to the land (in a nutshell). The game is a “real time” RPG, so no menu-based fighting. 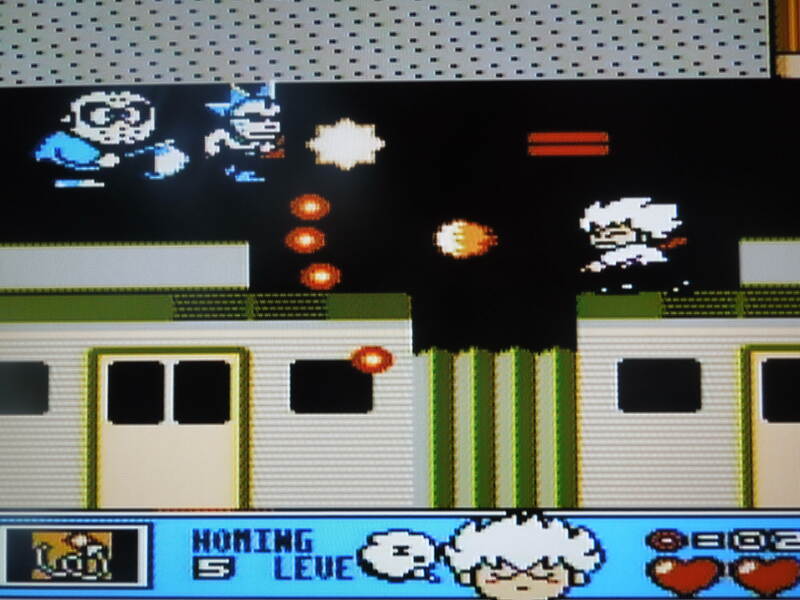 Each character, while possessing different stats (strength, speed, etc), fires a straight forward attack, has a whirling defense move to repel enemy projectiles, and a magic attack that can be activated upon finding enough Black Magic (skull) items. 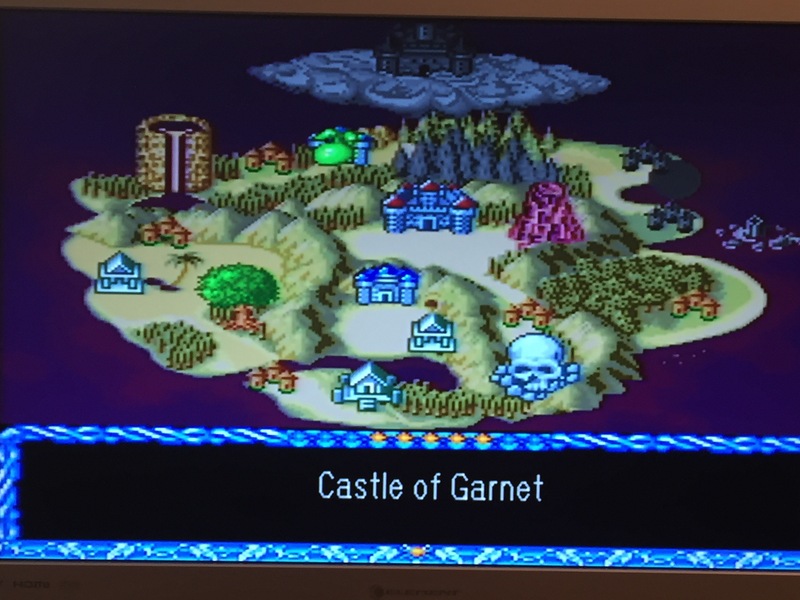 Gameplay: Select a different “area” on the map to visit to explore a new dungeon or visit a new town (straightforward “linear” gameplay). Visiting new towns and speaking to residents opens up new dungeons, and exploring dungeons and subsequently beating the dungeon boss opens up new towns. Leveling up: Level up by beating the dungeon bosses. Each boss drops a gem that brings you up 1 level and additionally boosts your stats in one area based on the color you selected (blue=strength for example – you can see the color coordinated stats on the ‘status’ screen to balance your character as you play through the game). Saving? You save your ‘character’ in this game into 1 of 3 save files, or you can use a short password (great if the battery dies). You’ll pick up at the last dungeon or town you were in at the level your character was on when you resume play. Continues: You get 5 total, and they’re shared in multiplayer. Lose them all, and it’s back to the beginning of the dungeon or a checkpoint in the larger dungeons. Conclusion: Crytal Beans is one of the simplest RPGs I’ve played. The story is simple, the gameplay is simple, the dungeons are simple – everything is simple (bosses provide a decent challenge). 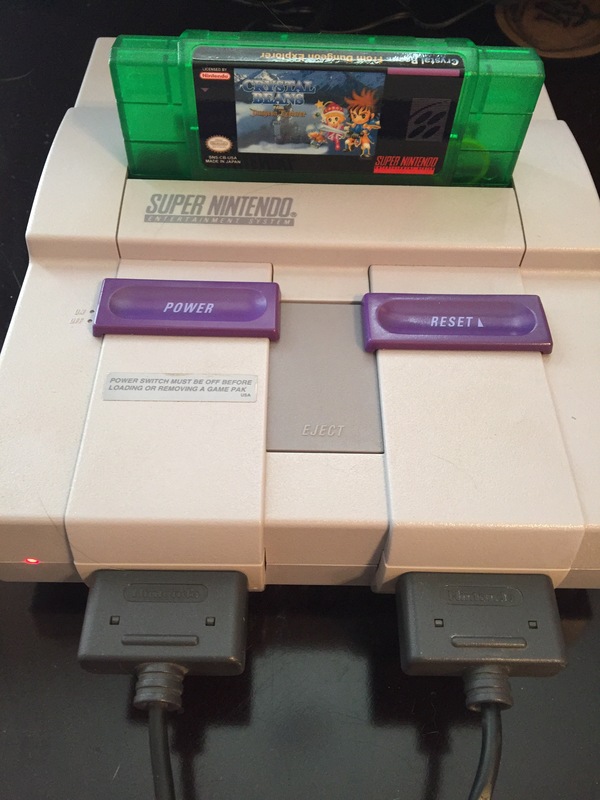 This is no Legend of Zelda or Secret of Mana or Chrono Trigger. 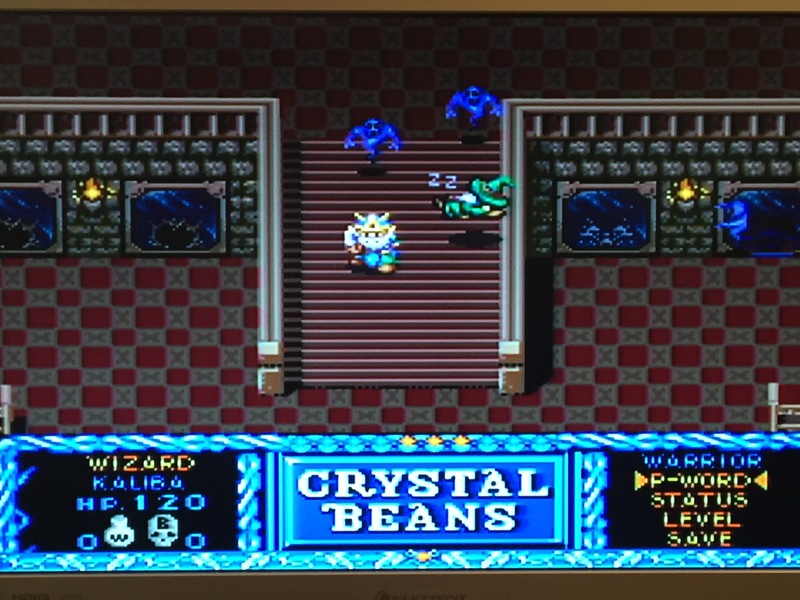 However, it’s fun to be able to pick up Crystal Beans and beat it in only a few hours. The Southern Gentleman’s Opinion & Letter Grade: C. Add a plus with 2 or 3 players. 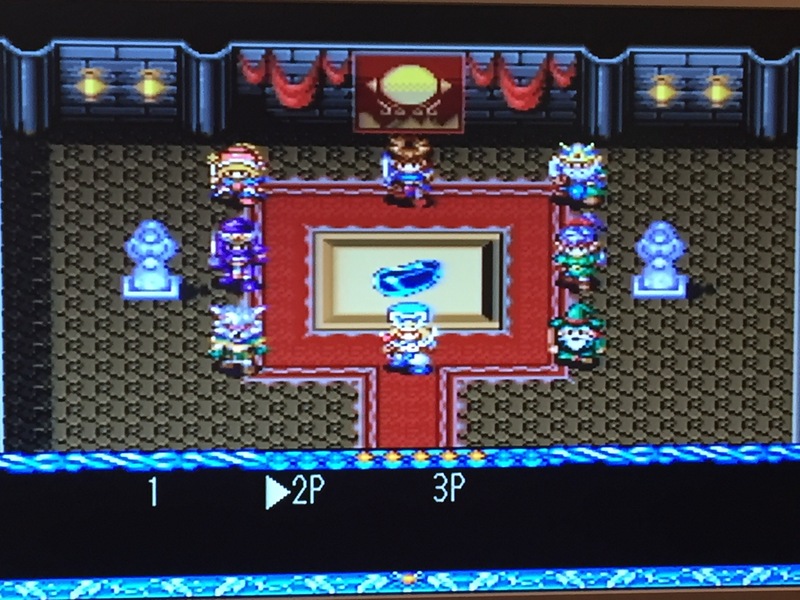 This entry was posted in 0, SNES - Crystal Beans. Bookmark the permalink.